Including Depression, Seasonal Affective Disorder, Anxiety , Postnatal Depression, Obsessive Compulsive Disorder, Phobias, Post-Traumatic Stress Disorder, Self-harm, Eating Disorders, Alcohol and Substance Misuse, Dementia, Schizophrenia and Bipolar Disorder amongst others. We take pride in our confidential, professional and friendly service. We offer advice, assessment and management for all mental health requirements. We accept GP referrals. We understand the frustration long waiting lists for treatment and diagnosis can cause, so we aim to see all of our clients within two weeks of instruction. Good mental health can be defined as a state of physical, emotional and social wellbeing. If someone is mentally healthy they are able to cope with the ups and downs of day to day living, whilst having the energy to lead active lives, achieve personal goals and interact with others. When should you be concerned about your Mental Health? If you find yourself struggling with the demands of day to day life, thinking, speaking or acting out of character, experience a persistent low mood or loss of enjoyment from life, suffer from feelings of worthlessness and suicidal thoughts, or begin exhibiting unpredictable, reckless and erratic behavior you may be suffering from a mental health condition. Psychiatrists are doctors who specialise in the diagnosis and treatment of mental disorders. They have a medical degree, as well as a number of years spent doing specialist psychiatric training. All our psychiatrists have very considerable experience in assessing clients and preparing reports. We will work with you to match you to one of our doctors with the most suitable experience. Psychiatry is the study of mental disorders and their diagnosis, management and prevention. Psychiatrists are medical doctors who have qualified in psychiatry. Psychology is the study of people: how they think, how they act, react and interact. Psychology is concerned with all aspects of behavior and the thoughts, feelings and motivation underlying such behavior. Psychologists will have a degree, however may not be medically qualified. Psychotherapy is conducted with individuals, groups, couples and families. A psychotherapist may be a psychiatrist, psychologist or other mental health professional, who has had further specialist training in psychotherapy. Psychotherapists help people to overcome stress, emotional and relationship problems or troublesome habits. Some people believe psychiatrists are immediately ‘psycho-analyzing’ them whenever they meet. This can make people feel under pressure when they meet a psychiatrist. Psychiatrists do not analyse people in this way. Psychoanalysis is only done by specially trained psychotherapists in a proper therapeutic setting which a patient has agreed to. Our psychiatrists normally travel to your home for the initial assessment. This allows you to speak with the doctor in a setting comfortable to you. If it is not possible to be assessed in your home, please call us to discuss arranging consultation rooms. When will my consultation be? We can normally offer an appointment within 2 weeks of your enquiry. Our clients often find it is easiest to arrange an appointment for evenings or weekends. We can accommodate these at no extra cost. The initial assessment is a one hour appointment, where the psychiatrist will talk with you about your background and current situation. What is discussed can vary from person to person. Often, the psychiatrist will ask you about your birth and development, family history, your education and employment and any medical or psychiatric history etc. If there is anything you do not wish to discuss, just let the doctor know. After the initial assessment, the psychiatrist will produce a short report outlining their opinion. The report serves as a record of your meeting and it is up to you how you want to use it. It will not appear on your NHS record. Please contact us to discuss beforehand if you think you will require a more detailed report. Can I have a friend or family member present for the consultation? Yes, if you wish to have a friend or family member present for your consultation, please just let the doctor know. We have a set fee for the initial assessment, which includes a full consultation. Following the initial assessment, further consultation is payable at an hourly rate. There may be additional costs if a full written report is required, if there is substantial background reading of medical records required, and depending on your location, travel costs may also be involved. Please contact us on 0141 334 5538 to obtain a quote. We currently accept payment by debit card, cheque, or bank transfer. Payment must be received in full prior to confirming an appointment date. Will details of the assessment appear in my NHS records? No. Everything you discuss with our psychiatrist is confidential. If you want to show your written statement or report to your GP or other health professionals you are free to, however we will not liase with anyone else without your explicit permission. Our psychiatrists are available to provide an independent second opinion for individuals who want to ascertain that they are receiving the best possible care. Our psychiatrists have training in the diagnosis of both Aspergers and Autism. We are able to provide professional reports to assist individuals with psychiatric illness or disabilities with regard to benefit applications or benefit appeal Tribunals. We aim to provide a fast, efficient, professional and straightforward service for carers who are applying to become legal guardians for loved ones. This involves one of our private psychiatrists visiting you and the family in the comfort of your own home, or elsewhere, to carry out an incapacity assessment under The Adults With Incapacity Act. For clients subject to detention under the Mental Health Act we are able to provide reports that ensure that you are treated fairly, that your wishes are taken into consideration, that the guiding principles of the Mental Health Act are adhered to and assess that the criteria for detention are met. We also ensure that the least restrictive options have been exhausted. For individuals who have suffered traumatic experiences which have lead to psychological and/or psychiatric distress, we are able to provide an expert opinion and medico-legal reports. For clients who are involved in employment disputes, we can offer assessment of mental health as well as fitness to engage in the tribunal process. Our experts are able to provide reports on eligibility to drive on psychiatric grounds. 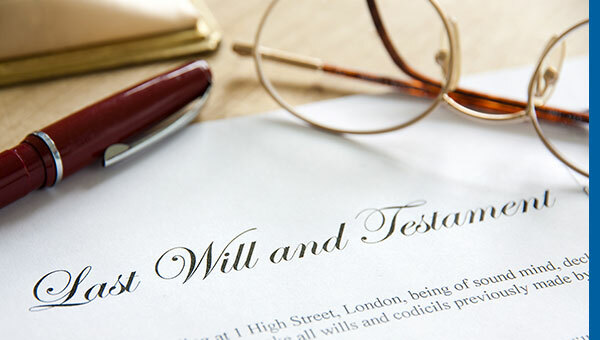 We are able to assess capacity to make or change a will. We have doctors who specialise in all aspects of eating disorders, including Anorexia Nervosa, Bulimia Nervosa, Binge Eating Disorder and related eating disorders. We have experts who can help with the management of addictions such as alcohol, drugs or gambling. We can assist in the diagnosis and management of mood disorders such as Depression, Anxiety, and Bipolar Disorder. Our professional, hard working team strive to deliver the highest possible standard of assessment and care, as well as customer satisfaction. We are rapidly expanding throughout the UK due to our commitment and ability to deliver high quality and comprehensive services to our clients. Independent Psychiatry has built its reputation on providing comprehensive, efficient and reliable services for buisnesses across Scotland. We offer assessment, managment advice and full psychiatric reports in line with up-to-date local and national guidelines.